When you decide to purchase a used item it can be a risky undertaking. For many used items you get no warranty or guarantee that it will work as advertised or even last over years of use. It is critical that you buy used sweepers from a trusted source or a supplier that deals with only the best equipment. Alphaclean is the best place to start when you’re in the market for a used floor sweeper. This is an Australian based company that is noted for its exceptional floor sweeping machines. Alphaclean has a reputation that precedes all others when it comes to purchasing a new floor sweeper, this is something that is achieved through the incredible TRS technology that is part of every machine. Another thing Alphaclean is known for – products that stand the test of time. Alphaclean floor sweepers last for years and are engineered to be durable. They can withstand daily use in a harsh environment with care given to design elements that are subject to more wear. Customers come first at Alphaclean and this focus is something the company is well known for. When you buy from Alphaclean you get a product and the knowledge that the machine you have purchased comes with amazing customer support. Alphaclean extends this confidence to their used floor sweepers are well and many are available to purchase through Alphaclean’s locations. The company is dedicated to helping clients get the most out of their machines, new or used. 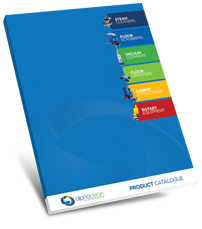 Contact Alphaclean today and ask for more information on their wide selection of floor sweepers. You get a machine that performs as it should and that’s reliable. You don’t have anything to lose when you go with Alphaclean.